Okay folks, the time has come for me to compose the second of the six posts I bound myself to write when I decided to accept the (totally self-imposed) HOUSE OF GLIB CHALLENGE. Can you FEEL the pinkness! Today’s episode is interesting, because on the one hand it manages to be even more awful and difficult to watch than its predecessor, while also containing three moments that legitimately made me laugh out loud with appreciative glee rather than mocking derision. 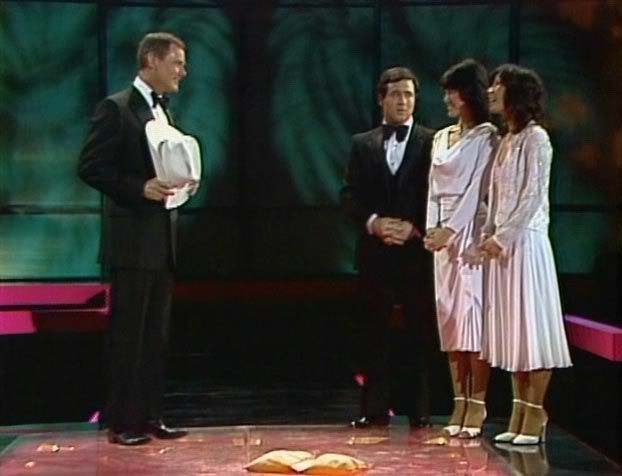 In one case this was a result of an obvious ad-lib, while the remaining two came about as a result of the sheer talent of two poor, beleaguered professionals whose need to make a living denied them the chance to be elsewhere the days this episode was put to videotape. This second episode also serves to highlight what I’m afraid might become a recurring problem in the four following episodes—an issue that brings to bear the tricky subject of race and my own peculiar fascination with the tortured lives of those poor folks stuck in the background. With that prefaced, let us get to it! Once again the show starts with a short monologue from co-host Jeff Altman and once again the laughter we hear him receive has absolutely nothing in common with the size of the in-studio audience or the actual hilarity of his material. This time, however, the disparity is that much more disturbing, since we are actually allowed to see the audience in many shots. Throughout the show one cannot help but feel punk’d by the sound of spontaneous applause occurring over an image of an audience who are clearly not clapping or in anyway amused. During his brief monologue, Altman’s only notable joke comes from a reference he makes to Pink Lady’s Friday timeslot competition The Dukes of Hazzard (upon which he once appeared as Boss Hogg’s even more unscrupulous nephew). The reason it’s worthy of mentioning is because his joke comes at the expense of Hazzard’s lack of refinement and notorious use of T&A, but only serves to remind the viewer that as terrible as The Dukes of Hazzard was (and even under the thick veil of nostalgia, it sucked pretty damn hard) it never reached this level of artistic atrocity. 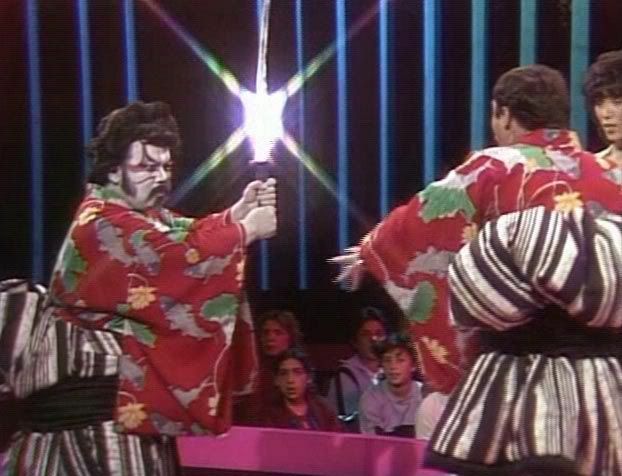 Fortunately his comedicizing comes to a quick end, as he stops to introduce his titular co-hosts, Mie (who throughout my previous entry I kept mistakenly referring to as Mei) and Kei, who—just as they did in the previous episode—appear in traditional kimonos, which they then remove in order to perform an agonizingly soulless rendition of The Wiz’s “Ease On Down the Road”—a song that was pretty darn awful when Diana Ross sang it, but is ten times more excruciating when performed by two young Japanese girls who have no clue what they are saying. 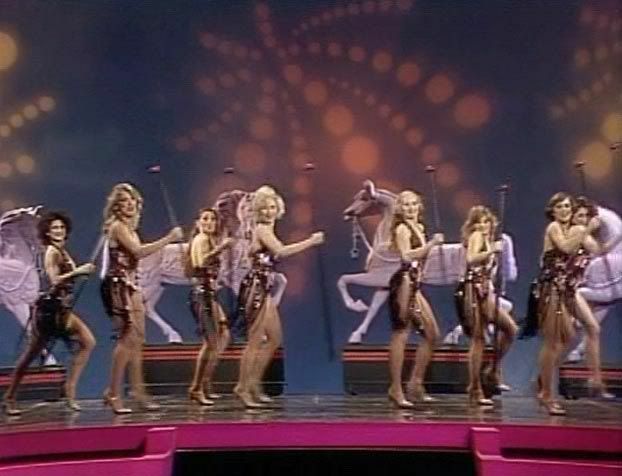 And as was the case with the previous episode, the haphazard nature of the production becomes most evident when one watches the backup dancers, who are clearly under-rehearsed and struggle to stay in time with both the music and each other. 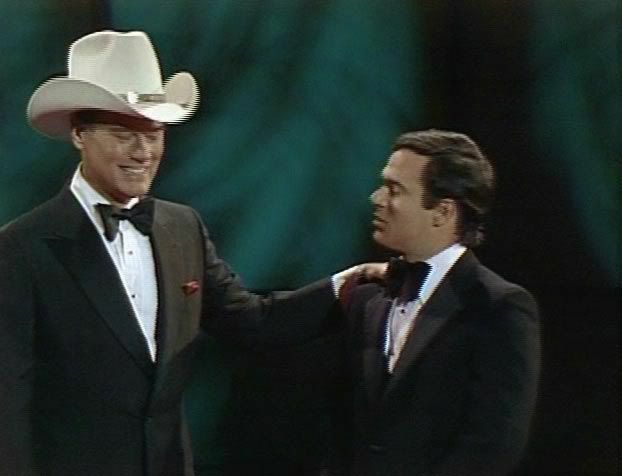 Back from the first commercial break, Altman introduces Larry Hagman, who—one has to remember—was actually a huge star at that time. 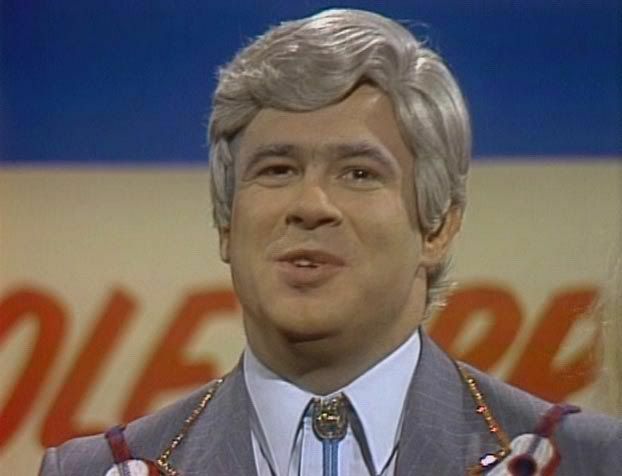 Huge enough, in fact, to make one wonder what the hell someone had on him in order to get him to appear on this show. 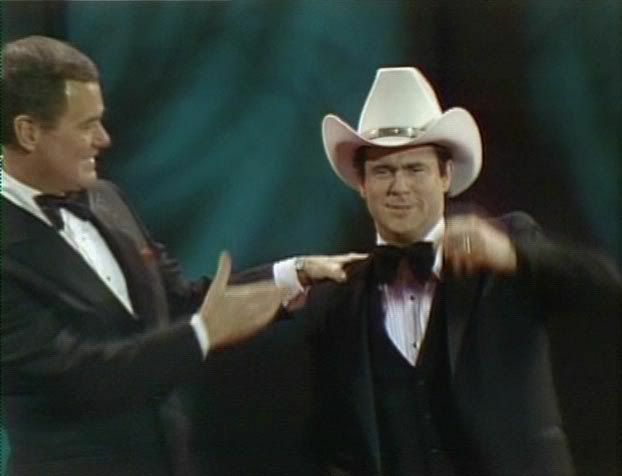 Again, the scripted banter makes this sequence very difficult to sit through, but Hagman did manage to make me laugh once by quickly ad-libbing, “East Texas,” in response to the audience’s reaction to his use of the word ‘arigato.’ With those two words one glimpses the vast divide between fresh and canned entertainment—by being himself for just one second Hagman entertains more than he does during the entire rest of the show. 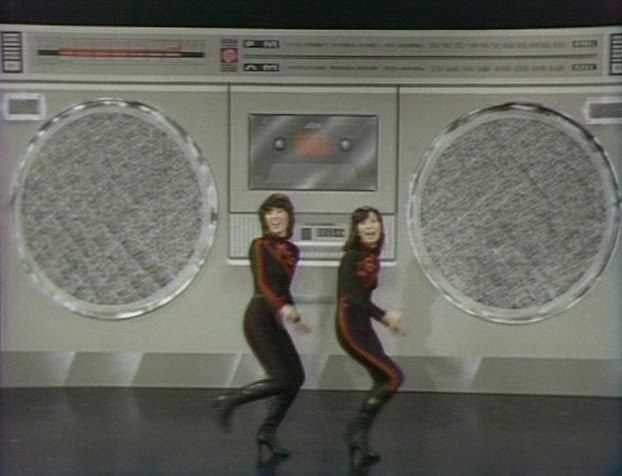 It’s now sketch time, which means Mie and Kei (whose names are considerately sewn onto their outfits) have to dance in front of big fake portable stereo, just like they did the week before. This time, however, they only introduce two sketches. 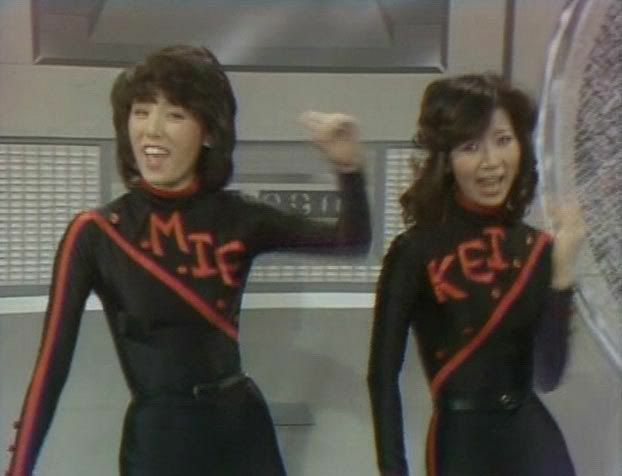 The first marks the return of Altman’s preacher character and is only notable because Mie and Kei now have their names sewn onto completely different outfits. it was difficult to tell them apart. 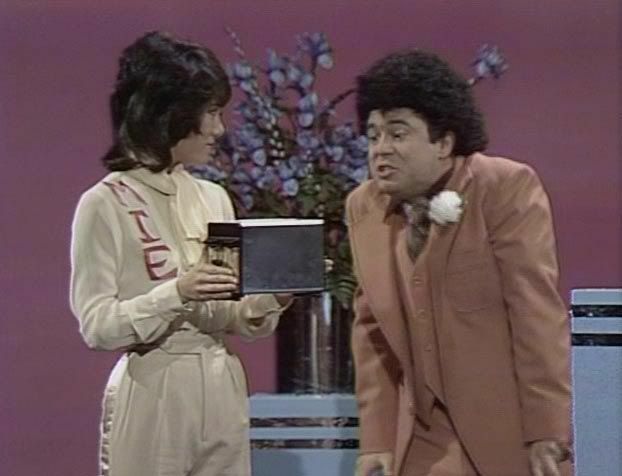 The second sketch is far more memorable since it marks the first appearance of a recurring cast member who will be instantly familiar to most folks of my generation. 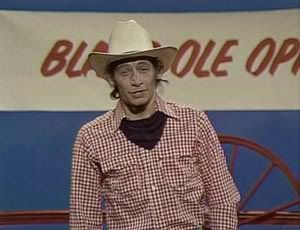 Hey Vern (and Everyone Else), It’s Ernest! Actually, it’s the late Jim Varney, an actor I always felt never got the credit he deserved largely because of his association with his most famous role. 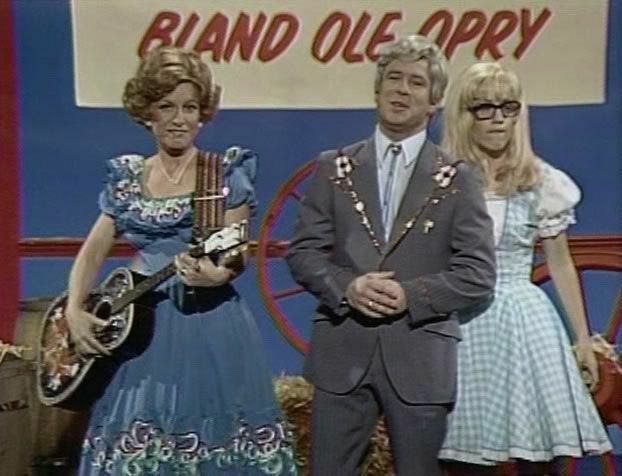 During his brief appearance here he scores the show’s second genuine chuckle by announcing that Wednesday night at the Bland Ole’ Opry (yeah, I know….) will feature “Readings from Nietzsche.” The sketch then segues into a bland (hmmm….) poke at then-president Jimmy Carter and his kin. 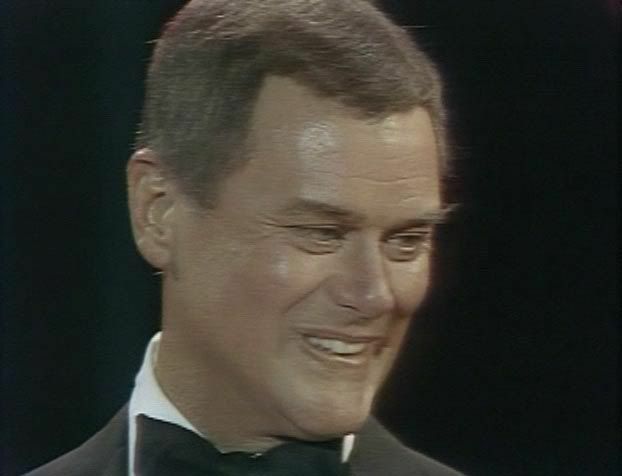 Just like the last episode’s sole attempt at political satire, which was undermined by its strange unwillingness to take its premise to its logical conclusion, this sketch is undone by making the unusual size of Carter’s teeth the focal point of its comedy, even though no attempt has been made to exaggerate the size of Altman’s own choppers. This sketch also marks the first appearance of the foxy 70s redhead I became infatuated with last episode, but who is never really allowed to be similarly foxy this go around. 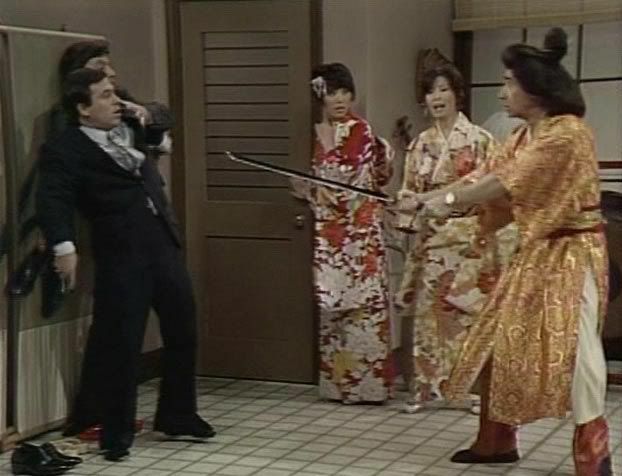 Following some more painful banter (this time about how quickly Mie and Kei are learning English, which like the applause it generates bears no relation to any observable reality), we are now treated to a sketch featuring Sid Caesar that is a) culturally offensive, b) a total rip-off of Belushi’s samurai SNL sketches and c) easily the best thing in the entire show (and quite possible the entire series). 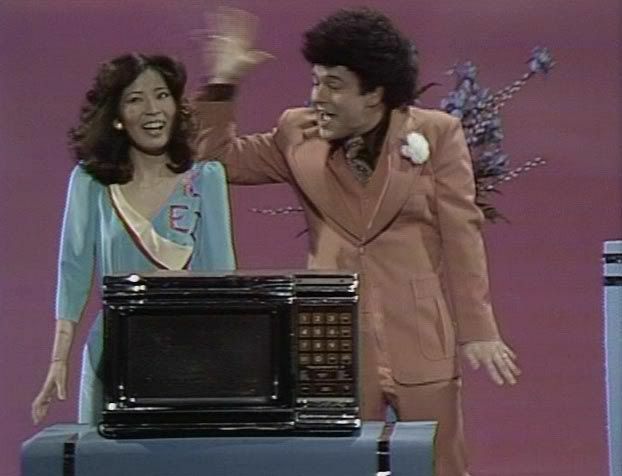 The success of the sketch comes entirely from the hands of Caesar, an old pro who could do crap like this in his sleep. 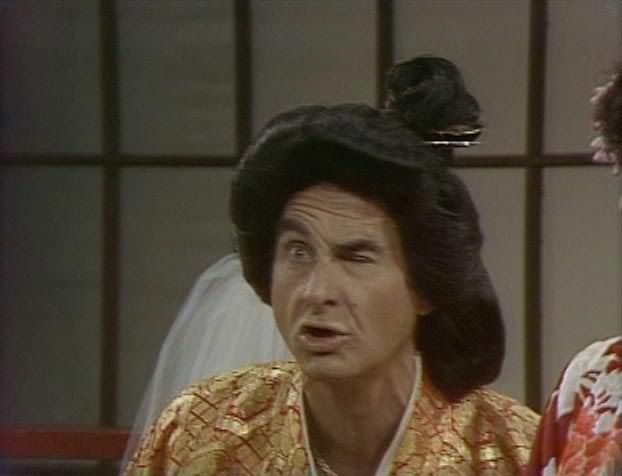 Unlike Altman, whose pseudo-Japanese invariably sounds contrived and insulting, Caesar has a special genius for faking languages in a way that makes them sound completely credible—to the point that one actually starts to believe that poor Mie and Kei can really understand what he is saying to them. 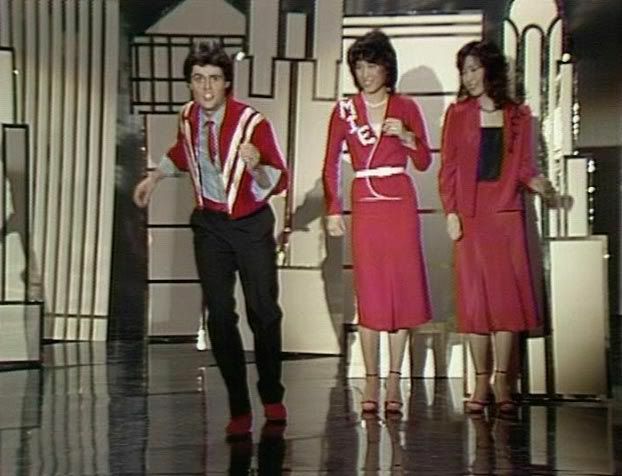 In truth, the sketch still isn’t very good, but the fact that it made me laugh once (when Caesar asks the girls—in what I suspect was another ad-lib—“You think you Bobby Soxers?”) is more than enough to make it the highlight of the episode. I don’t know about you, but Mormons happen to be the nicest, most polite people who CHILL ME TO MY VERY SOUL (followed closely by Scientologists, natch) and—needless to say—the sight of an early 80s Donny Osmand fills me with more terror than any horror movie I’ve discussed on this blog, but for the sake of this challenge I faced my fear and kept watching. 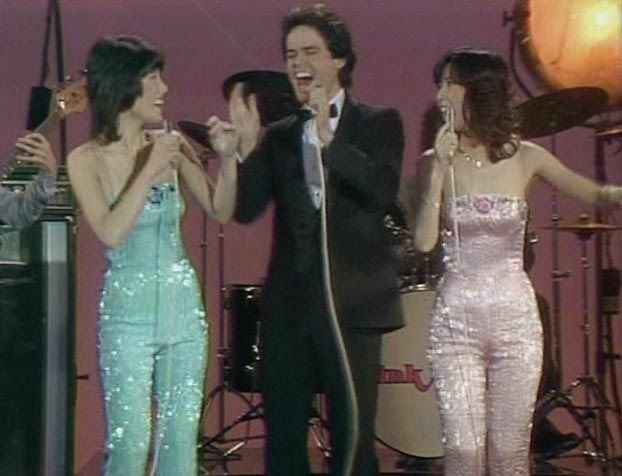 Since medley’s are the apparent lifeblood of this show, Donny and the girls start off by singing a bland ditty I’d never heard before. 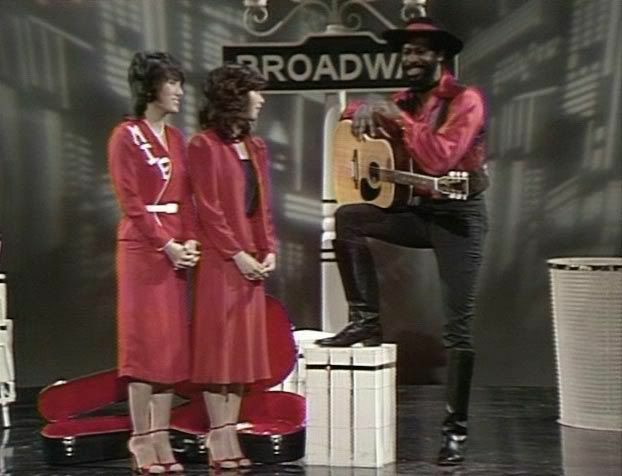 Donny is then given the spotlight, which he uses to perform an even blander ditty I’ve also never heard before, Then the three of them reunite to perform an especially soulless rendition of Sister Sledge’s “We Are Family” that a) makes you completely forget that Donny was once able to fool people into thinking he was Michael Jackson when he sang “One Bad Apple” a decade earlier and b) makes you feel especially sorry for the quartet of African-American backup singers who are forced to pretend that they are enjoying their inclusion in this musical desecration. 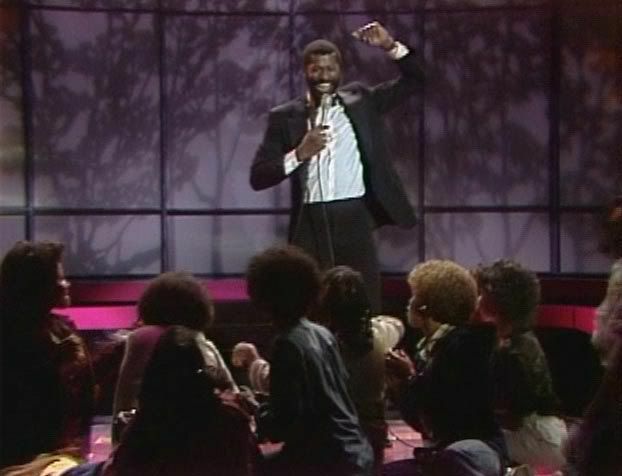 I remember once when I was kid watching a New Kids On the Block video that was filmed at a live concert (or a reasonable facsimile thereof) and being taken aback by a moment when a black bassist joined the “Kids” on stage and got funky with them. The reason this struck me was because I had to wonder what kind of musician could not only get on a stage day after day and perform such patently manufactured music, but also manage to pretend like he enjoyed doing it. Perhaps, I considered, he wasn’t pretending. 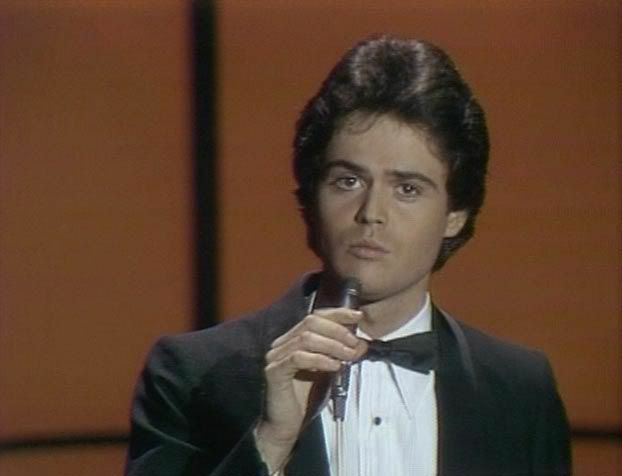 Maybe he did love playing bass for the New Kids and funking out with them on stage, but if that was the case, then how was it possible that he ever became talented enough to be put in that position in the first place? It seemed to me that any potential musician who could take any joy out of playing “Hanging Tough” would automatically be disqualified from doing so, since the only possible explanation for their elation would be irreversible tone deafness. The only theory I could come up with to explain this situation was that in some cases it is possible for a performer to be so entranced by the mere act of performing that they are able to transcend the fact that what they are doing is terrible and enjoy the experience regardless of its merit. And since it has become my habit to subject myself to projects as misbegotten as Pink Lady I have frequently tried to determine which of the myriad background players are simply pretending not to be in agony and which are actually caught in the grasp of the above condition (which I assume the German’s have named at some point). With this song selection, one does see a disconcerting pattern forming. 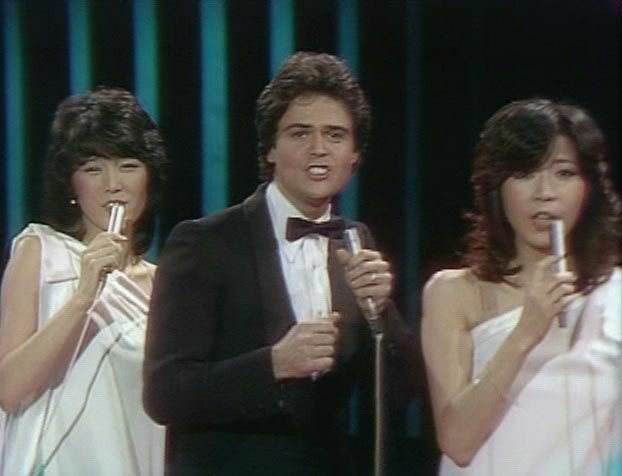 In the first episode Mie and Kei were compelled to perform “Boogie Wonderland” and “Knock On Wood”, while in this one they are saddled with “Ease On Down the Road” and “We Are Family”, all of which are songs one does not traditionally associate with Japanese performers—for good reason. 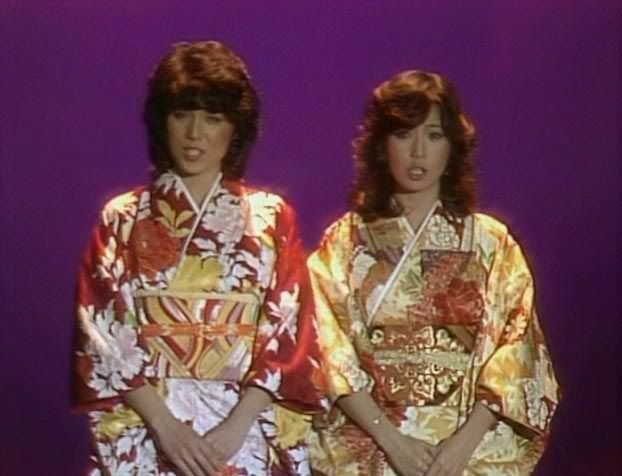 Famed more for their dancing than their singing, Mie and Kei have what can be charitably described as slight voices, so this determined focus on bombastic soul hits is clearly another in the growing multitude of bad choices that defined this series. 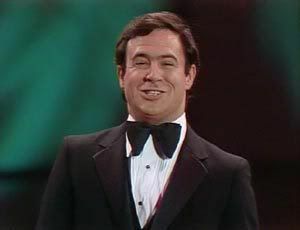 This is made most evident by the appearance of the show’s last guest performer. But before we get to that, Altman and Hagman return in an Art Nuvo sketch that isn’t worth the effort it would take to describe it. 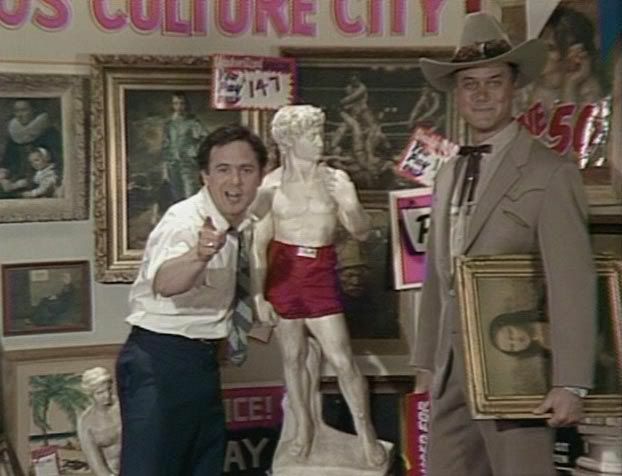 This is followed by an equally unworthy sketch based on Russian ballet star Alexander Godunov’s then-recent defection, in which Sid Caesar abuses all of the good will he earned in the previous sketch. 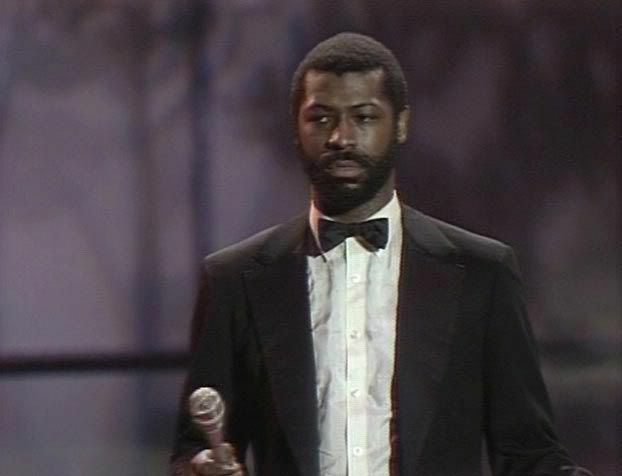 We now cut to Teddy Pendergrass, who is referred to as the show’s “musical guest” even though he eventually does less singing than Osmand. 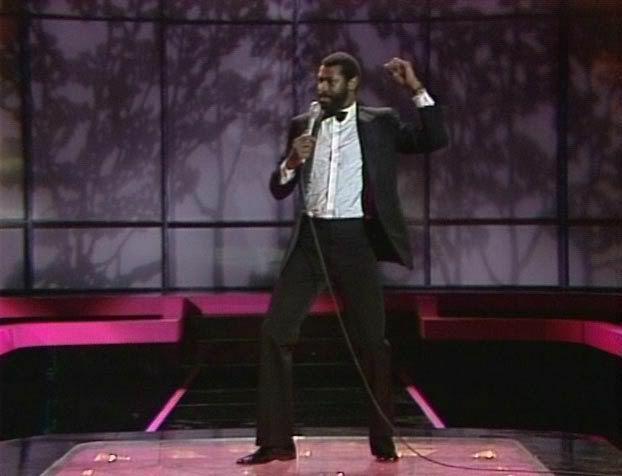 His performance is notable because he’s joined by the same backing singers we saw earlier, only this time their enthusiasm seems a lot more genuine than it did before and also because it ends with a laughably raunchy number in which he explains to a presumed lover that he “…just want[s them] to do [him]” and which climaxes with about a dozen women rushing the stage. All of these women are black, which one queasily senses was a choice deliberately made not to offend the kinds of folks to whom the thought of a white woman showing open admiration for a black man was a capital offense. 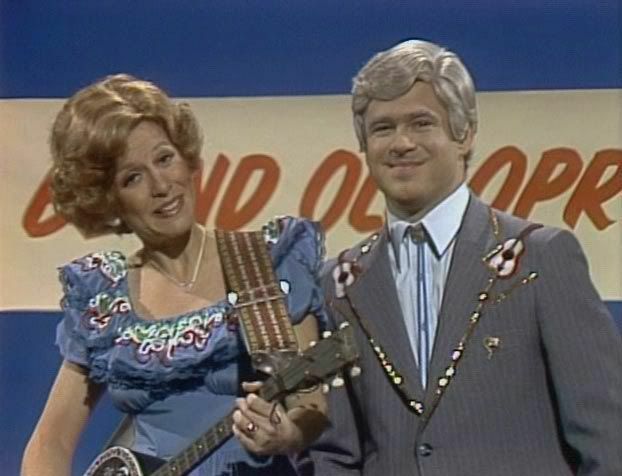 For the last ten minutes of the show, everyone is thrown together in a musical/comedy montage similar to the tribute to Hollywood that aired the week before. This time the theme is New York, where Mie and Kei (again wearing clothing with their names stitched on it) are the tourists and their guest stars are the assholes they meet during their travels. 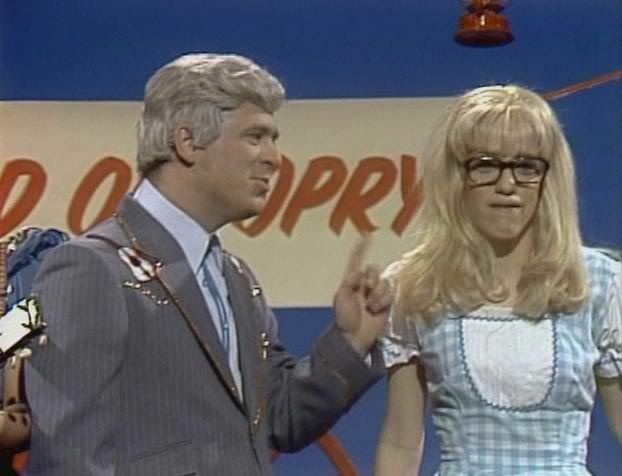 Donny sings “42 Street”, Teddy sings “On Broadway” and Sid and Larry embarrass themselves in a sketch whose entire premise is “Guys Sure Do Like Them Strippers”. 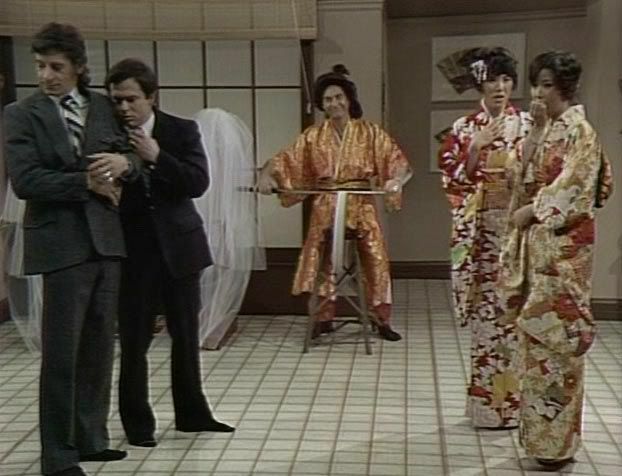 With that the show comes to a merciful end and we are yet again treated to the sight of Mie and Kei in skimpy bikinis dragging Jeff into a hot tub, which this time is not filled with a naked sumo wrestler, but all of our co-stars save Mr. Osmand (who—one suspects—wussed out for specious religious reasons).